The stock Fiero has pop up headlights that while functional, tend to take away from the sleek lines of the front hood. While the Ferrari 355 has pop up head lights as well, there are alternatives to explore that might be equally at home on my project car. 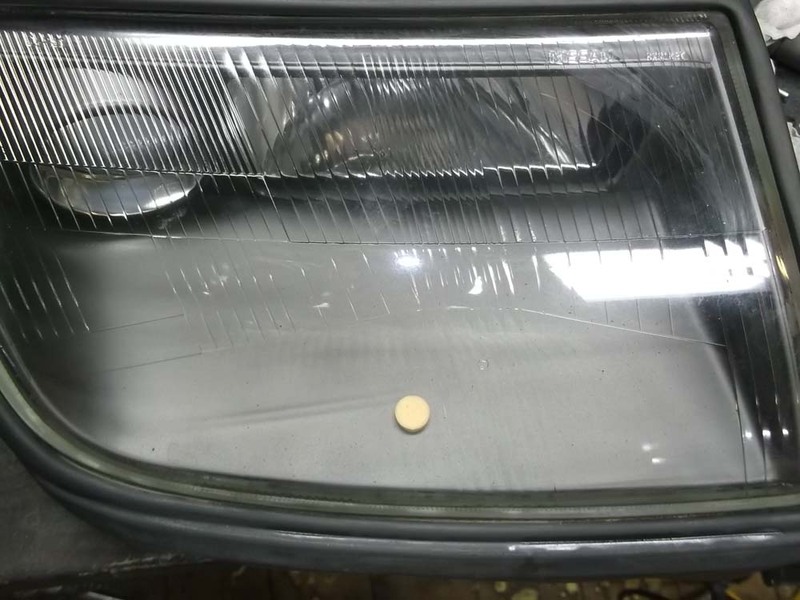 One such alternative to explore are the headlights from a Nissan 300 ZX. They have a low sleek profile that might be quite suitable and they have a modern multi bulb appearance in their sealed single lens. After a tip from my friend Dave, I managed to find a used pair in excellent condition online from JDM Connection (Japanese Domestic Market). For $275 including bulbs and pigtails, I got these beauties. 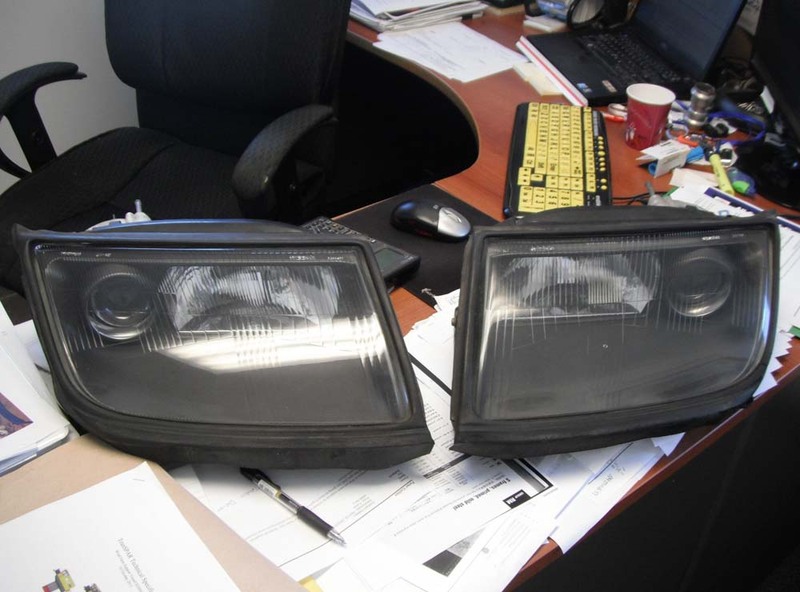 When I get to the point in my build where I begin work on the body, it will be interesting to see how well these flush headlights integrate into the 355 hood lines. My fingers are crossed. It will certainly add a distinctive twist to have these as opposed to the traditional pop up lights.